If you have TV Aerial Installation problems or need a satellite installer inquiries regarding a SkyQ, CCTV, Freeview, Freesat or multi-room system, call our experienced team for polite and friendly advice today. With over 20 years in the TV Aerial Installation industry, TV Aerial Installation services near me always make sure our installers carry a full range of indoor and outdoor Digital TV aerials at all times ensuring that all our repair and upgrade work is done quick & efficiently to give all our new and existing customers the best experience the company has to offer. Furthermore, At TV Aerial Installation services near me also offer the latest in High Definition Home entertainment systems at a very competitive price that should be looked at more now that we have reached the ultimate year of HD viewing. Also available are the installation of CAT5 points for Smart TV installs so please have one of our engineers come give you a free no obligation quotation. TV Aerials and CCTV Installations has established itself as one of the most sought-after providers of TV Aerial installation service across Yorkshire, Humberside, Teesside, Lancashire, and surrounding areas. In line with the goals of the business to provide the people in and around Leeds with the best possible TV viewing experience, TV Aerials is offering its wide range of solutions at remarkably affordable rates, making the New Year an even more pleasant and memorable one. Over the years, TV Aerial Fitters has grown to become the go-to solutions provider for all TV Aerial installations, phone line or CCTV issues. 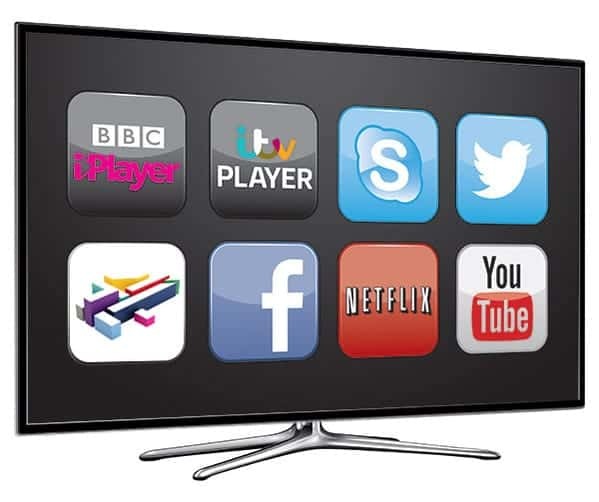 In addition to offering TV Installations and other such services, the company also offers information on Freeview, Freesat, 4K HD TV Multi-room setups, and a host of others. The company’s professionalism in addition to offering a plethora of services at affordable rates has made it the top choice of homes in the United Kindom. TV Aerial and CCTV Installations is consequently aiming to become the one-stop solutions provider to all home entertainment needs as it also does TV Wall Mounting and Home cinema systems. Whether you need a new TV aerial Installation or someone to install Sky Digital, Freeview or Freesat, we can help you.? We can also wall mount your TV or install a bespoke commercial TV system for your business, and, we will do it professionally, efficiently and at a great price. Sound good? Call us today on 0800 0132341 to let us know what you need and how we can help you. Aerials and Satellite Installers has been helping customers like you for over 20 years. 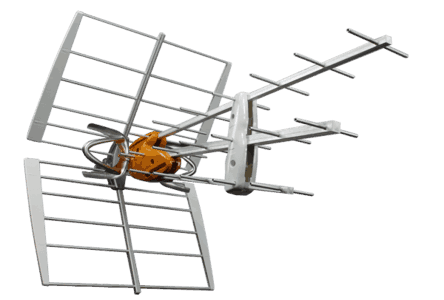 There is nothing we do not know about aerials and digital TV, so when you call us, you can be sure you are getting qualified, experienced engineers who know what they are talking about. ?All of our technicians have been trained and accredited. They all carry identification for your security, and they are all certified to work at any height. Keep reading to find out more about the services you can benefit from and why you should use Aerials and Satellite Installers for your next TV aerial, satellite or digital television job. ADI Communications have been installing and repairs TV Aerials, Satellites, CCTV and more for over 20 years. TV Aerial Installation is a local, family run business who pride ourselves on providing a great quality service at affordable prices. All our TV aerial Installation engineers are fully qualified for all the services we provide. At TV Aerial Installation Services we constantly strive to provide the best customer service available to ensure your experience with us ADI Communications is that of an enjoyable one. Our office is run by our family and close friends and we answer your call at any time of the day. If not – TV Aerial Installation services endeavor to return your phone call or email the very first thing the next day. ADI Communications LTD are the best in TV Aerial Installation can help you with any of your TV Aerial installation or problems. We are fully qualified. So if you are looking at upgrading an old existing aerial, or if you are suffering from signal problems – please do not hesitate to contact us. As a small business, we have seen everything over the years and are able to fix any of your problems. Do you live in a really bad signal area? Not a problem! ADI can come to you to give you a FREE quotation for the best fix to meet your needs and price range. If you are looking to get a brand new satellite TV system installed, then let ADI Communications take care of it for you. Be it for your own home and if you are a landlord looking to upgrade to a big screen TV system for your tenants, we offer FREE quotations for the work you would like doing. We offer great package deals with discounts – so if you want your TV mounting at the same time – TV Aerial Installation can do it! If you are looking to have your TV mounted, or you are looking to create a home cinema system for your TV’s, then call ADI Communications today. We can mount your plasma, LCD or LED TV’s or install full Home Cinema Systems in any room of your house for the best film, music or gaming experience to suit you. ADI Communications supply a wide range of TV brackets from flat, tilt and swing arm. Our qualified and professional engineers will always ensure that you get a top quality installation at the very best competitive prices. ADI Communications can get you connected all over your property. We are able to quote and install you a customised multiroom system to satisfy your viewing needs. We have the ability to configure multiroom systems for Sky, Sky+, Sky HD, Freeview, FreeSat & FreeSat HD. So if you were thinking of getting a new TV for your bedroom to watch your favourite soaps on, contact us today for a customised quotation to get your up and going. Whether it is your home or place of business, ADI Communications can install CCTV wherever you need. We will help you to pick the right CCTV system for your property and to fit your budget. Our experienced engineers will then install the system from mounting the cameras and all the wiring and connecting it to the monitors. We will always make sure you are all set up with minimal fuss and make sure you know how to use your system from the start. Check out some of our systems! Experiencing problems with your telephone or internet line provider? Are your service providers charges completely unacceptable? No help from busy call centres? Telephone & Internet providers visit and charge hourly rates that have become far too expensive for simple repairs. ADI Communications’ work is the same quality and standards of any service providers, so we are able to help at a fraction of the cost. Entering and leaving a building, whether it be a bank, hospital, school or office block is something staff and visitors alike used to do without a second thought. Sadly, access based on good faith and trust no longer seems to be the case. Larger organisations also feel the need for door security within the building itself. ADI Communications are not just a TV aerial company. We provide door security solutions with effective and simple to use access control systems. We ensure that the access system is tailored to your needs, offering a wide range of technologies from intercoms, card and proximity tokens. Further features are available including photo ID cards and alarm monitoring. We offer advice on a range of products from single door entry systems to sophisticated multi-door computer controlled systems. ADI Communications have been installing and maintaining communal TV aerial systems for over 15 years. Minus a few exceptions, the majority of communal properties receive their TV services using Integrated Reception Systems (IRS). Our Communal team look after all your communal and commercial television requirements working close with managing agents, property managers, developers and resident associations to install and maintain the systems. If you would like more information, please do not hesitate to contact us and speak to a member of our dedicated team about teaming up with ADI Communications. Working with you to keep your tenants and clients happy! ADI Communications are receiving more and more calls from customers who want audio systems installing throughout their properties, it is becoming a common request within many family homes. The most common systems that we install are wireless networks and are most commonly known as Sonos. Sonos systems require audio equipment and wi-fi speakers. All your music will be saved onto an app which is then controlled via a smart device or remote control, connecting your music to any room within the house. ADI Communications can attend and talk through all your requirements as they do a full survey of the site. Speakers can either be built into the ceiling, wall mounted or free standing, whatever suits the customer. We will supply, fit and install the Sonos equipment or alternatively we are happy to install your chosen system once you have purchased it. Designing a system that works best for your home will result in the best outcome, our technicians can help you design and create a bespoke system to suit your home and budget. If you have been considering having an audio system installed within your property then please feel free to call the office and we can make an appointment for one of our engineers to attend and spend some time decision making with you. ADI Comunications will provide advise and information that will help you create a home cinema system that will bring the big screen experience into your own home. We can help with everything from designing to the setup. Most home cinema set ups include the supply, fitting and installation of the entire system, whatever you choose we will connect your TV and speakers, before finishing with a full demonstration on how to use the equipment and controls. A basic set up would simply require a surround sound speaker system connecting to the television. The engineers can also wall mount televisions and speakers as well as offer solutions for discreetly hiding any cabling. A multi room system allows the family to watch on-demand in HD in all rooms within the property. The family can all watch what they prefer at the same time. Once the main infrastructure is installed further rooms can then be added at any time. Radio and music systems can also be set up into multi rooms. For customers wanting large home cinema systems creating or a multi-room set up, then a site survey is always advisable in order to plan and discuss options and costs. Our installations carry a 12 month warranty and any equipment carries a 2 year warranty. ADI Communications are proud of the service we offer and the products that we install. We trust our professional engineers and our products so much we offer a 1 Year Guarantee with any product which is installed and supplied by us. Sometimes problems can occur, which is why if you have a TV aerials, satellite, magic eye or any other product from us and you do experience problems – we will come out to access the fault and replace any faulty equipment. This gives your peace of mind and shows you our trust in our professional and experience engineers. We are proud to offer a complimentary 10% OAP discount to anyone over 65 years looking to have a new aerial installed. So if you have had your aerial for quite some time and are starting to experience problems, get yourself an upgrade. We appreciate that TV can be a valueable part of your retirement or relaxation time, so give us a call today to discuss your needs. After two months of playing ping pong with Sky and Open Reach and getting nowhere, and despite numerous promises from Sky that my issues would be resolved, they got worse. A call to ADI Communications and although I had to wait a week for an engineer to visit the problem was resolved in half an hour. Pete was excellent, helpful and friendly, more than you can say for the half wits at Sky. Thank you for a fast installation and a job well done. I will highly recommend you as a TV Aerial installer. 1.5 Sound good? Call us today on 0800 0132341 to let us know what you need and how we can help you. 1.16.2 Check out some of our systems! 3.4 Working with you to keep your tenants and clients happy! 3.8 Working with you to keep your tenants and clients happy!